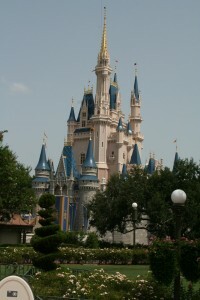 The Disney Institute originally began in 1986 in Orlando offering “leisure learning” which entailed courses on fun topics like cooking and landscaping classes. By 1996 the organization offered business programs and currently sends representatives all over the world teaching Disney’s best practices of leadership, management, customer service, and loyalty. What the visiting families and tourist perceive as effortless daily operations is actually a well-trained, enthusiastic. motivated work force. Of course they are not without their trials and tribulations of union disputes, strict rules, and continuous growing pains, but to employ 64,000 people just in Orlando is a testament to the success of the operation. What makes Disney so successful? After all, statistics state that 70 percent of Disney visitors make repeat visits. According to the Disney Institute, the top three expectations of cleanliness, friendliness and fun permeate the entire culture of the work force. No one walks by a piece of trash on the park’s grounds and doesn’t stoop to pick it up. Employees or “cast members” as they are called make the difference. Their opinions are heard, they contribute suggestions on how to improve service, and are motivated to do the best job they can. From the moment a candidate applies for a job or as it is called a “casting audition,” the Disney University with its world class training helps employees to feel empowered by their own positions and work on exceeding guest expectations by paying attention to detail. Besides the training leadership and helping each person feel as if they are making a difference, Disney does employ the means to gather an amazing amount of information about their guests wants and expectations. For instance the organization collects data from constant surveys, focus groups, and opinion polls. The follow-up is phenomenal and compilations actually disseminate how often people travel to Disney, how long it takes for an average family to save the funds to make the trip, how much a family generally spends, and who drives or flies to the land of happiness and magic. Of course I have never had the privilege of auditing the Disney Institute, and I do hope one day to experience the magical mystery behind the infamous brand, but there is definitely a finite connection between business success and the culture of respect employees seem to have for each other. In the Disney book called In Search of Excellence, it lends some interesting advice to applying some of the lessons to our own businesses – even if we don’t offer Magic Toad Rides or Mickey Mouse parades. Three great expectations for any customer to want when walking into an establishment. Great that Disney knows how to do them right!